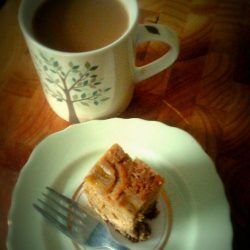 I have a bit of a backlog of recipes to blog, so prepare yourself for an abundance of well-written, witty and inspirational posts. 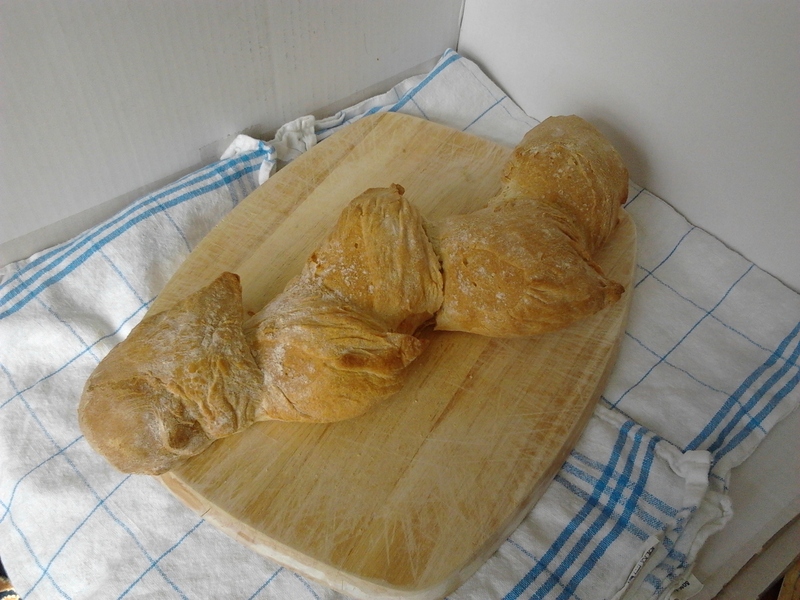 The bread contains 275g strong white bread flour, 1 tsp salt, 2 tsp fast-action dried yeast, 1 tbsp olive oil and 150-185ml warm water – enough to make a soft dough. I’ve hurt my wrist so I didn’t want to knead the bread, so I cheated and chucked it all in the bread oven on dough setting. You could also use the dough hook on your mixer. Once it came out of the bread oven, I shaped it into a long baguette, covered it with oiled clingfilm and left to rise in a warm place for half an hour. 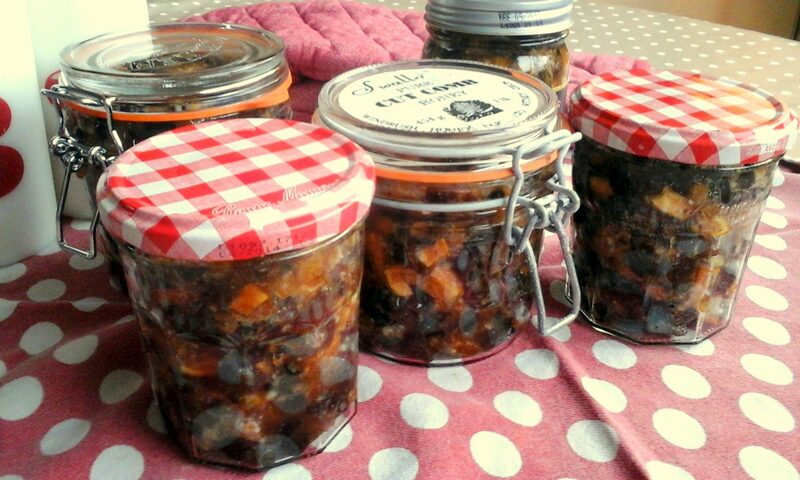 This meant that my bread got loads more rising time that Lorraine’s recipe, which I feel can’t have done it any harm. 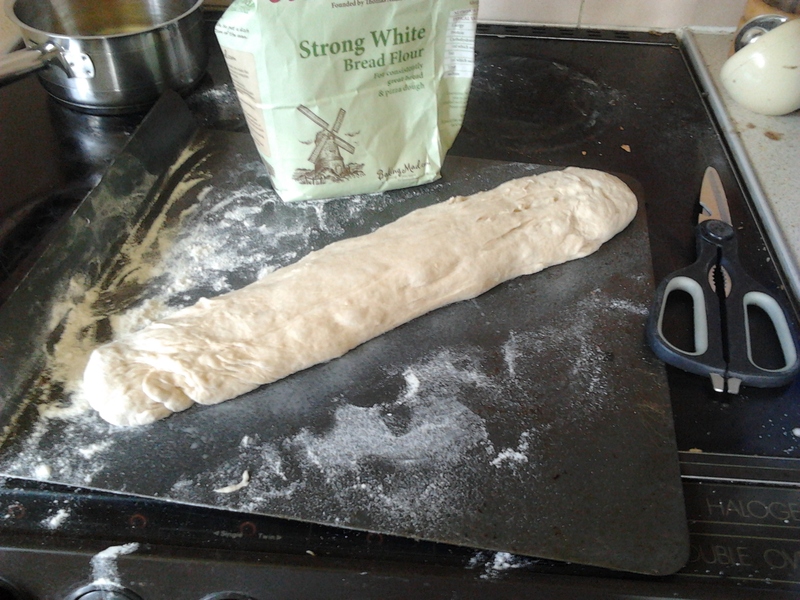 Then it’s on to shaping the bread. Lorraine’s instructions in the book are not particularly clear – if I hadn’t seen her make it on TV I would have been lost. 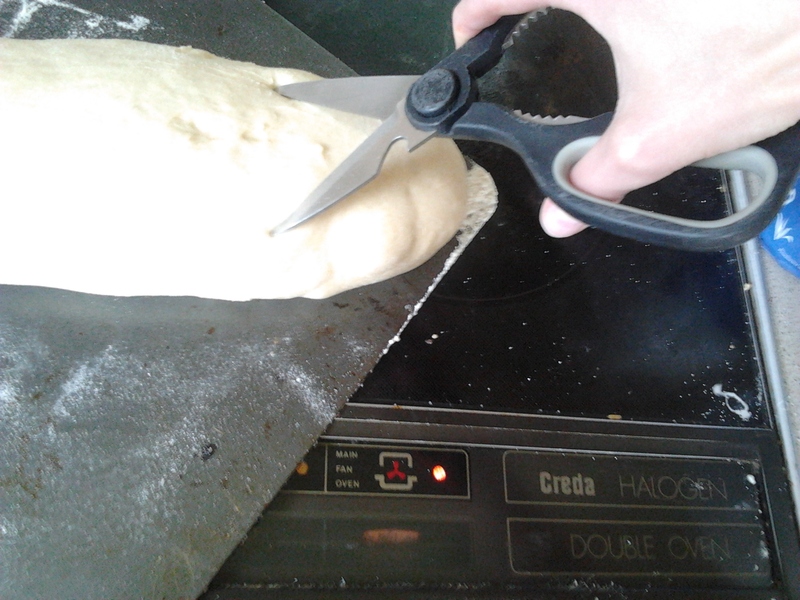 “Hold a pair of scissors parallel to the bread” is particularly unhelpful – which parallel? You actually hold them above the bread and make snips at 45′ angles. Don’t snip all the way through, and after you make each snip move the piece to the left or the right, alternately. 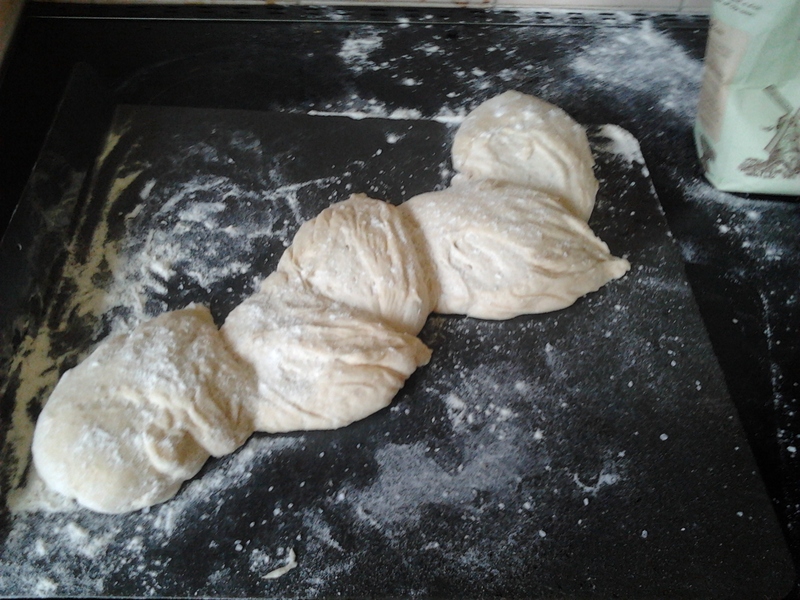 Then spray the bread with oil, sprinkle with some salt and flour and bake for about 25 mins. 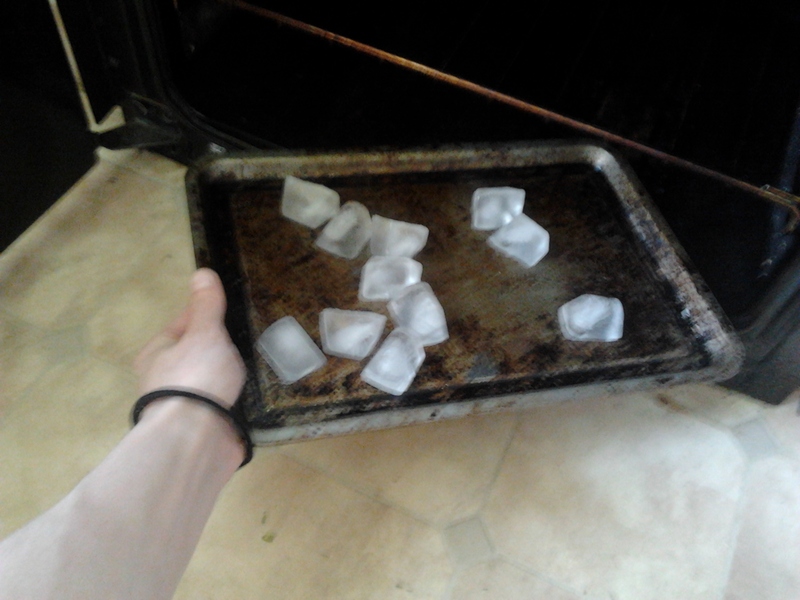 This time I used ice cubes in the bottom of the oven to create steam. This apparently makes the bread rise better before forming a crust. I tried it without as well, and I do think the ice cube loaf was slightly more risen. The loaf is lovely and soft with big bubbles – very French! You can tear off the individual ears and dip in olive oil and balsamic vinegar or just spread with butter, yum!